I hope you all had a lovely, loooong weekend of eating and celebrating. Things got a little crazy during our 4th festivities-- I had three sparklers at the same time! That's about as far as I go with at-home fireworks. It's possible I had too many adult beverages and enough chocolate covered waffle cone ice cream for three people, so today I'd rather be wearing a comfy, slip-on dress. 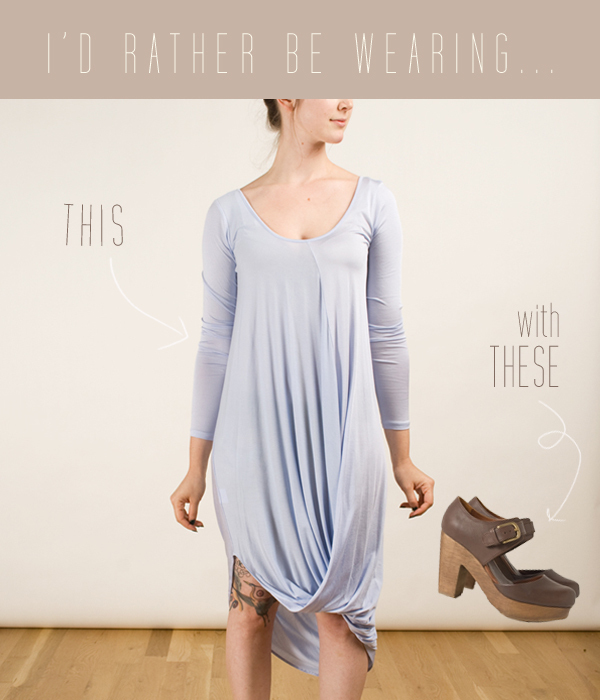 THIS one is perfect with it's easy flow, lilac color and asymmetrical hemline. Paired with THESE incredible mary-janes with wooden clog heel would complete my laid-back Tuesday get up. p.s. it was hard to choose between all the pretty things from Frances May.